The guys and gals over at SEGA have been on a steady pace with the release of new DLC and today’s announcement is in keeping with that pace by adding new extra content for those who grabbed a copy of Alien: Isolation. The fifth add-on pack was announced today and will be entitled, “The Trigger.” This new piece of DLC is focused on players competing against the clock in three very scary new maps for the game’s Survivor Mode. 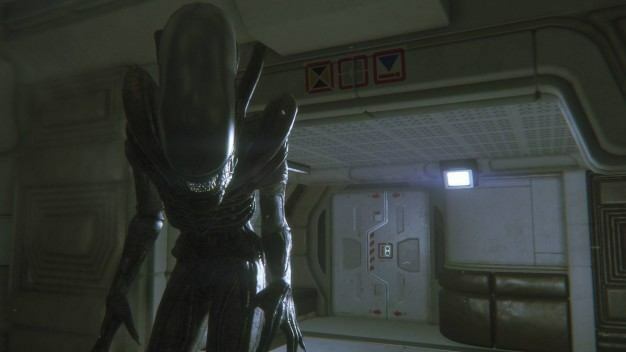 From the look of things, this could be Alien: Isolation’s most challenging add-on pack to date. “The Trigger” is set just before the events that got Alien: Isolation rolling. This time around, the new DLC puts players on the Sevastopol Station in the shoes of Ricardo. With the three new maps to choose from, there will be no shortage of terror-inducing moments around every corner. Don’t forget; the Xenomorph is quick and cunning, the synthetics are ruthless and relentless, and both are brutal and deadly. In order to succeed, you must prioritize the lives of the station’s inhabitants over your own survival and do whatever you can to assist Marshal Waits in his plan to destroy the creature. There is a package of explosives with one of the marshals but nothing has been heard of him for some time. If you can secure Prisoner Processing and escape the creature, there’s a chance you can track down the marshal in Synthetic Storage and blast the creature into the depths of space. Alien: Isolation is currently available for PS4, Xbox One, PS3, Xbox 360 and PC. “The Trigger” is available via download for $7.99.